If your home or business has experienced any type of water damage you need to check for the growth of mold. 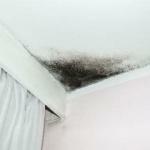 Mold can be a serious issue, it has been linked to numerous health problems. Allowing mold to fester and grow can have a serious negative impact on your property, your air quality, and your health. You can easily spot most types of water damage, but only a certified mold inspector is able to thoroughly examine an area for mold, as it can fester in hard to reach and see areas. If you are in need of mold remediation and removal in North Port, Call Wetherington Restoration and Remodeling. We will examine your property for mold growth and will deliver immediate action to give you the peace of mind you need after experiencing any kind of disaster. We service Port Charlotte, Punta Gorda, North Port and surrounding areas.